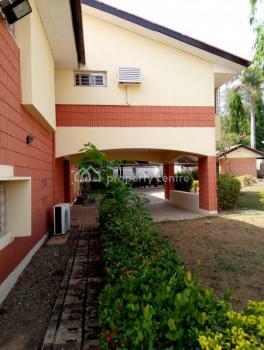 Tastefully fully detached duplex with 2 bedroom guest chalet, 2 rooms bq, all rooms ensuite, guest toilet, spacious bedrooms with huge living rooms, dinning area, balconies, massive garden areas, generous parking space, nicely finished kitchen with storage, in a serene n well secured neighborhood, now letting at Maitama , ideally for Embassy, NGO,Corporate office, VIPs..#25M. 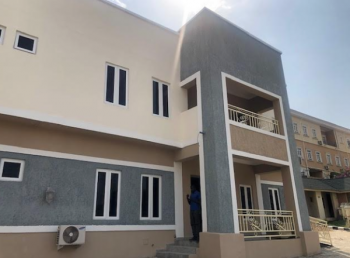 Luxurious fully detached duplex with 2 bedrooms chalet n a room bq, all rooms ensuite, pop finishing, lush green areas, guest toilet, spacious bedrooms with huge living rooms, dinning room, balconies, exquisitely designed walk in closet, bathtubs, shower cubicles. 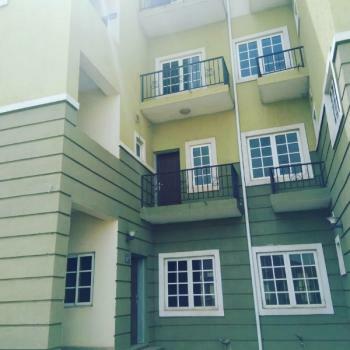 Generous parking space, spacious n fitted kitchen with storage, in a serene n well secured neighborhood, now letting at Maitama #15M..
Lavishly finished 4 bedroom detached duplex with 2 rooms bq, all rooms ensuite, pop finishing, spacious bedrooms with huge living rooms n dinning area, guest toilet, nicely finished kitchen with storage , good parking space, ideally for residence n office. . 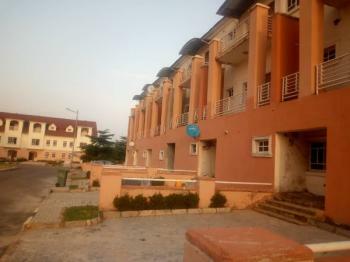 In a serene n well secured neighborhood, now letting at wuse zone 4# 4. 5m. Brand new luxurious serviced 5 bedroom Twin duplex with a bq Each, all rooms ensuite, pop finishing, spacious bedrooms with huge 3 living rooms, balconies, Guest toilet, imported walk in closet, with exquisitely finished bathtubs, shower cubicles, spacious n topnotch kitchen with storage, contemporary fittings n European finishing, generous parking space, lush green areas, in a serene n well secured neighborhood, now letting at Maitama #25M for both units,..12.5m Each..good for Embassy, NGO,corporate organization, Vips,staff quarters, Residential purposes..Comes with Ac,Generator set..looking for a corporate Tenant to take both.. 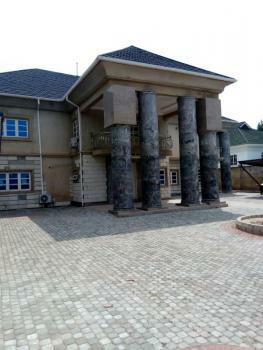 Brand new and tastefully finished 4 bedroom bungalow for rent in Zone 1, wuse district, Abuja. 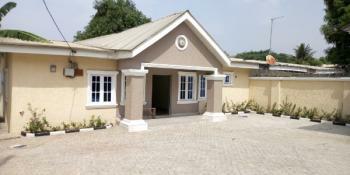 The house comes with sitting room, kitchen, guest toilet and 4 bedrooms all ensuite with toilet/bathrooms. 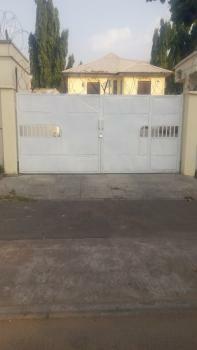 The house situates within a serene area of Zone 1 with good accessibility and tarred road. There is also a large empty space behind which can be converted to an economic/social use depending on the interest of the prospective tenant. 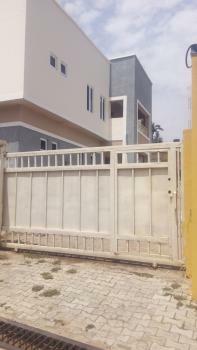 Tastefully finished 4 bedroom terraced house for rent within a mini estate in Gaduwa for rent. The house comes with sitting room, dining area, fitted kitchen with store, guest toilet and 4 bedrooms all ensuite with toilet/bathrooms. 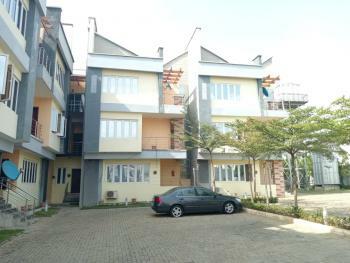 The property situates within a well maintained estate with good accessibility and tarred road. The rent is N1.8m and there is a service charge of N120k. The service charge covers for cleaning and lightening of the common areas, security personnel, waste disposals and maintenance of the borehole. 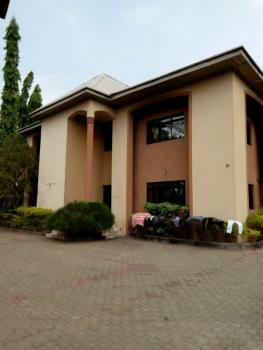 Tastefully finished 4 bedroom terraces house with a room servant quarters for rent in Gwarinpa Abuja. The house comes with a sitting room, dining area, fitted kitchen with store, servant quarters ensuite with toilet /bathroom, family lounge and 4 bedrooms all ensure with toilet/bathrooms. 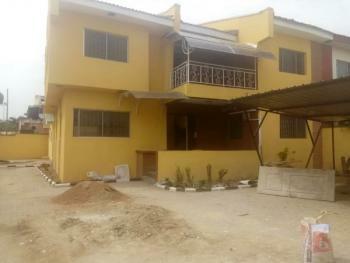 The property situates within a serene area of Gwarinpa with good accessibility and tarred road. 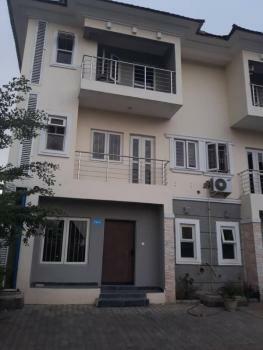 Newly finished 6 bedroom fully serviced detached duplex with 2 bedroom guest chalet, Ac,Gen ,all rooms ensuite, pop finishing, spacious bedrooms with huge living rooms n dinning area,study room, laundry room, box room, conference room, generous parking space, lush green areas, guest toilet, balconies, now letting at Maitama in a serene n well secured neighborhood, ideally for expatriates, diplomat VIPs, even corporate organization #15M 1year, 14m x2yrs ,we re open to discussion..pls only serious client should call..
Tastefully finished 5 bedroom detached duplex with 2 room bq, 3 rooms staff quarters, waiting room, all rooms ensuite, spacious bedrooms with wardrobes, bathtubs, nicely finished kitchen with storage, shelves, guest toilet, generous parking space, balconies, now letting at Maitama in a serene n well secured neighborhood 14m x2yrs or 16m 1yr..ideally for Office/ Residential purpose. 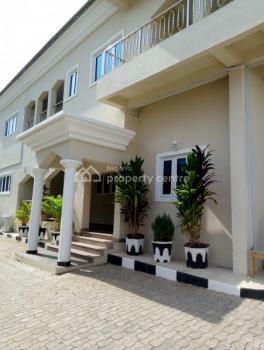 A decent spacious 6 bedroom detached duplex located at Maitama is available for rent.This lovely built house consists of large parking space, 24 hours standby generators, nicely fitted kitchen with storage facilities, laundry area, spacious living and dinning area with a guest toilet, spacious masters bedroom with wardrobe, parking space accommodating up to 5 cars. 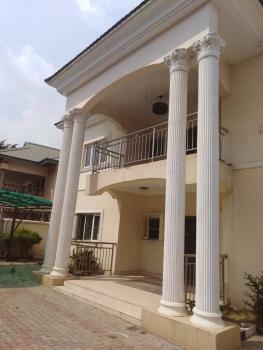 A luxury spacious 5 bedroom detached duplex located at Wuse 2 is available for rent.This lovely built house consists of large parking space, 24 hours standby generators, Swimming pool, Gym, nicely fitted kitchen with storage facilities, laundry area, spacious living and dinning area with a guest toilet, spacious masters bedroom with wardrobe, allotted parking space accommodating up to 5 cars.24 hours security that allows for entry scrutiny, available portable water supply, green area and a study room. It can also be rented out without the furniture and all. 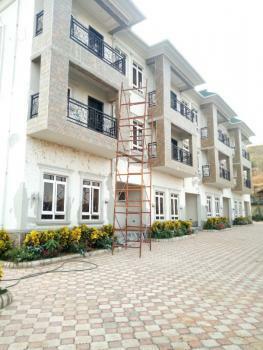 Brand new luxurious 6 bedroom fully detached serviced duplex with 2 bedroom guest chalet, pool, fountain, all rooms ensuite, pop finishing, spacious bedrooms with huge living rooms with dinning area, guest toilet, balconies, exquisitely finished wardrobes with bathtubs, shower cubicles, topnotch n spacious kitchen with storage, generous parking space, ideally for an Ambassador, expatriates, high commissioner, VIPs, in a serene n well secured neighborhood maitama #30M. 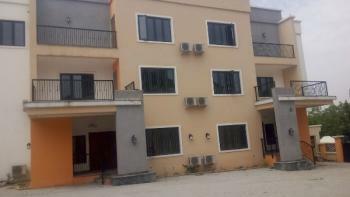 Nicely finished 5 bedroom fully detached duplex with 2 rooms bq, n guest chalet, all rooms en suite, pop finishing, spacious bedrooms with huge living rooms n dinning area, guest toilet, balconies, lush green areas, generous parking space for 12 cars, now letting at Maitama in a serene n well secured neighborhood, ideally for office, Corporate organization, NGO, embassy etc #18M, just needs little touch up, which will be done by the landlord.. 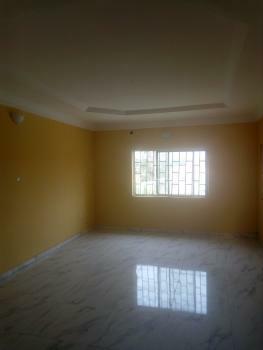 In few days..
4 bedroom maisonette with a maid room for rent.